Havana, is a faster paced city that is somewhat different than the stereotypical Caribbean islands. 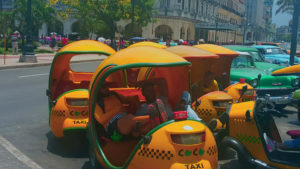 With the taxi speeding down the Malecon to take tourist around the city, it is a city that thanks to some of the steps being taken may open their doors to travelers from the United States and around the world. But there are a few things that you need to know as a potential tourist. Plan and Research. Much like with any trip internationally planning and research take precedent before you spend your money, for Havana it is all the more important. If you don’t have the time to do this hire someone and book with a Travel Agent. 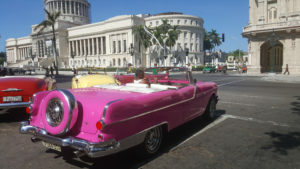 With information being limited for dissemination outside of Cuba, as well as the lack of the important details in English, it may make it difficult for you the casual traveler to become experts in Havana, or the amazing beaches of Santa Maria or Veradero without some stumbles along the way. The limit of information is due to tourism having been closed for United States Citizens for the last 60+ years as well as some other countries in our global market. Yes, this does means that in some aspects, Cuba have remained relatively unchanged since that occurred, however if you expect to see or have no modern necessities than you are somewhat mistaken. You will have access in most major hotels and some Casa Particulars to Flat-Screen TV’s, and your Taxi’s will not be pulled directly out of black and white movie. Internet and Cell Phone service is not like it is in most parts of the world. Many of us who travel internationally understand the expense of “roaming” and use mobile data, calls and text as sparingly as possible. Internet can be accessed used with the purichase of Wi-Fi cards and use inside mobile hotspots such as most hotels. This meant using Wi-Fi and planning destinations for tours on your own and sightseeing a necessity before departing from the Hotel, or having it pre-planned for you. The first day started out as any trip does, flying into the airport and passing through Immigration as well as collecting your checked bags and such. Immigration in Cuba is much like it is elsewhere, the purpose of your trip may be checked as well as questions regarding your health and where you are planning on staying and when you will return. They will often ask if you want your passport stamped, if you are traveling under the many sanctioned rules for travel to Cuba by US citizens go ahead and complete this, it will be something to show and tell your family for years to come. 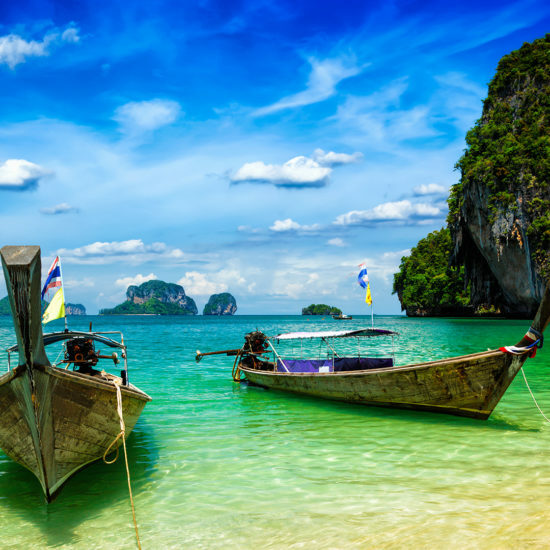 The most important step right now is the Tourist Visa, purchased through most Airlines. It is required to enter Cuba as of June of 2016, and when you get the stamp ensure that you keep the 2nd half for safety they will ask for it back, when you depart. 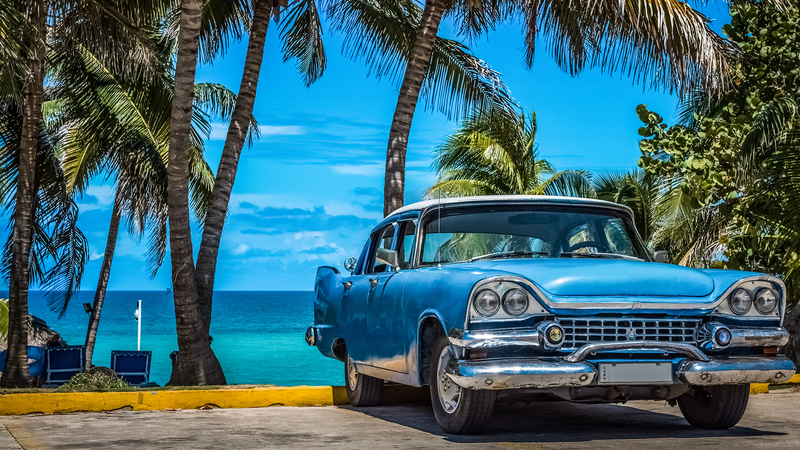 The most difficult part of Day 1 is currency exchange, if you are a US Citizen, your Debit Cards and Credit Cards will not work in Cuba, so bring Cash and be aware that you can only exchange into Cuba’s Currency, the Cuban Convertible Peso (CUC) in Cuba. Another tip, is if you have the time change your currency into Canadian Dollar (CAD), if you are able to do so without too much expense to yourself. If you exchange US Currency there is a 10% surcharge assessed, which is not the case with other currencies. The exchange rate for the USD to the CUC right now is 1 to 1; so that will make it easy to know the value of the meals you eat and the souvenirs you buy. Once you complete the Currency Exchange, if you don’t have a group setup with prearranged transportation; a taxi is an easy goal. Word of advice for this and all Taxi rides, discuss prices before boarding the taxis. I was in Havana for 5 days and not one taxi had a meter running, so they will work with you in regards to the price before you and your luggage have been placed into the trunk and the backseat. Now that you have reached your Hotel or your Casa Particular, the fun starts, If you are traveling during the off season, May to August, ask about a supermercado or supermarket. As unless you are from Miami or somewhere just as hot and humid, consumption of water is a must. The good thing about traveling during the off-season is everything is less expensive, and less crowded. Giving you a chance to further your Dollar and Pesos during your trip, also ensure that you get a hotel with a Pool to cool off in, and pace yourself. If you need to take a break in the middle of the afternoon sun to take a siesta, do it. Especially if you plan on taking in any of the nightlife that Havana has to offer. 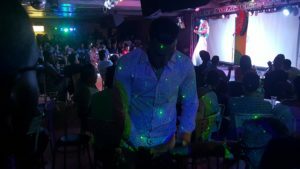 On the Saturday I was there, the Mi Cantante de Habana, was crowded and an amazing group of people dancing and singing to both US Pop Hits, Salsa and Rumba Music as well as relaxing in a crowd that you and they don’t have to hide in. The first hour I saw entertainment with performers taking the stage to perform live songs as well lip sync to standards from both the US and around the world, before the show ended and a Salsa Club erupted and the music turned up and the dancing took off. It was an amazing sight, that I encourage everyone to see. Another point is Mi Cayito Beach, located in Santa Maria which is about 25 minutes outside of Havana, it is a beautiful beach where many members of the LGBT Community hang out and take in the sun, sand and the ocean as a means to cool down, and heat things up with each other. 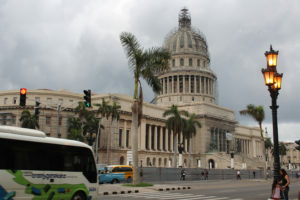 A tour bus operated in Havana will take you there, from the Parque CentralHotel for 5 CUC and it is well worth the trip. Once you reach Mi Cayito, they have beach chairs available to rent for 2 CUC as well as a Lifeguard and staff to help setup your beach gear, as well as vendor who walk up and down the beach selling hats, snacks and of course the hot cubano’s offering to rub the suntan lotion on you where you can’t reach! So enjoy! When I arrived, you are dropped off a few blocks away from the LGBT Portion of the beach, but when you climb up the hill to get to the beach itself once you breach the top, it is an amazing view that alone made the trip worth it for me. However, if you plan on catching some rays or swimming, just walk down the beach to you see our Rainbow Flag. Firmly planted in the sand as means to show that all who come are welcome on this stretch of beach, it has been tattered and torn in the wind, but it’s symbolism is still ever present and understood. Overall the people of Havana are very nice, there was no sign of crime during my stay in Cuba. And even with a language barrier being present, everyone I met and came in contact was eager to try to work through it as long as you were. Many of the hotel workers were friendly, including the maids who left a lovely handwritten note for us on our last day of our stay, as well as the front desk staff at my property as well. 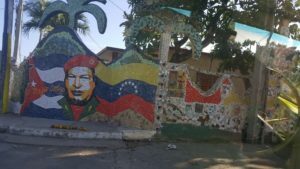 For this reason and the experience that I had I will encourage anyone who is considering a trip to Cuba to take one, it was an amazing adventure that in order to understand you have to see firsthand. © 2018 Pride Travel • All Rights Reserved • Side Designed by Electric Heart Media, LLC.